THE GYOZA BAR is a new eatery in the heart of Ponsonby Road. All Gyozas are authentic and made with a special recipe used for a long time in “Kotetsu”, the Gyoza bar in Fukuoka Japan run by our head company for 18 years. The succulent meat and vegetable parcels are encased delicately within a thinner film of dough, and resembles more of a half-moon structure. 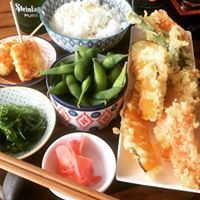 We also have a bundle of Izakaya-style tapas to choose from and the adventurous drinks list including Japanese whiskey, shochu, and sake but you can still order your favourite glass of local wine. Just ask your waiters for the perfect match to your food. Perfect! The food was delicious, felt like we were in Japan. Service was amazing too. Just awesome! Beautiful delicious meal, with great service. We took our children early and we were made to feel welcome. Great food and great service! Loved the karaage chicken and their gyoza were really amazing. We had the 5 course menu and the food was tasty and plentiful. Everything we ordered was delicious! The beef tataki was my favorite. Can highly recommend this place! Great little place in the heart of Ponsonby, very intimate,  great food and service! Great spot to dine. We sat outside and enjoyed the atmosphere of Ponsonby Rd on a Saturday afternoon. The service was excellent and we will definitely go again. Super friendly staff and delicious food, attractively presented. Once again a fabulous dining experience. The food and service was outstanding! Thanks to Sho and the team. 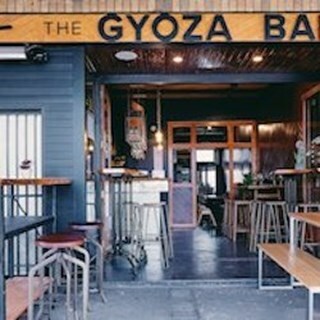 My family and I really enjoyed The Gyoza Bar. Delicious food and great service. Will definitely be back. Great food, enjoyed everything we had. The panfried gyoza are lovely & crispy. 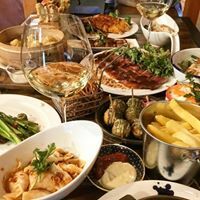 Amazing food, great friendly service and a cozy atmosphere. Will definitely be back! Everything was great. Service was friendly and food was authentic and delicious. Great food and drinks, would definitely recommend! Very friendly and helpful staff, great food with a good range of choices for vegetarians and meat eaters. Perfect people watching spot on Ponsonby Rd. Delicious food!! Great service and atmosphere.